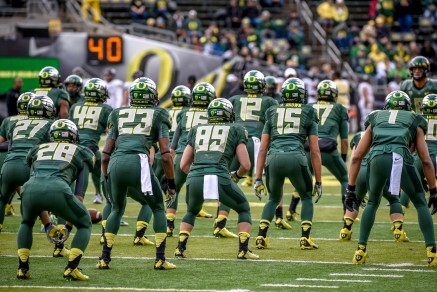 This Oregon team is united and focused on the ultimate prize. The Spread-Option offense is a mix-up of a hundred years of football knowledge and tactics, a combination of the antiquated Triple-Option employed by Navy and Notre Dame, the run-heavy offenses of Vince Lombardi and Woody Hayes (Ohio State), and the Run and Shoot variations of Harvey N. “Rusty” Russell, Glenn “Tiger” Ellison, and Darrell “Mouse” Davis (Portland State). Since then, these offensive schemes have been expanded, mutated, and refined, resulting in new expansions such as the Air Raid, Pistol, and Wildcat formations that continue to see varying degrees of success. 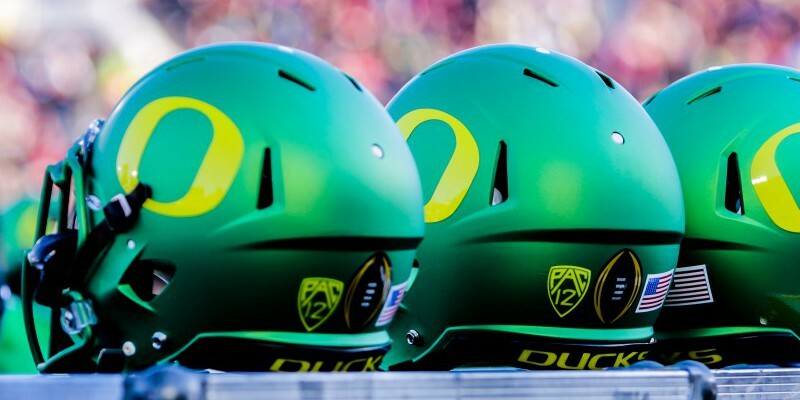 The success of the Oregon Ducks football program has come from defining an identity. But Oregon and Ohio State, who face off today in the College Football Playoff National Championship game, represent the best examples of a perfectly executed systems by dedicated personnel. And win or lose, this title game will show the nation that these teams are more than just speed and flash. The outcome of this game will show the nation what dedicated programs can accomplish. The framework cemented by both Oregon’s Mark Helfrich and Ohio State’s Urban Meyer aren’t flashy recruiting gimmicks or football “monkey shines”; West Coast offensive shell games with no substance. These universities have supported new ideas, practiced philosophies and expanded the one-dimensional X’s and O’s into legitimate cultures, driven and galvanized by the right personnel. Former Oregon coach Chip Kelly remains a proponent of finding the right personnel, the right players, in order to create and realize an identity. “What do you want to be? That is the great thing about football. You can be anything you want. You can be a spread team, I-formation team, power team, wing-T team, option team, or wishbone team. You can be anything you want, but you have to define it,” Kelly told a clinic. Today, Oregon is defined as non-traditional, unorthodox, stylish, dedicated, focused, and cutting edge. 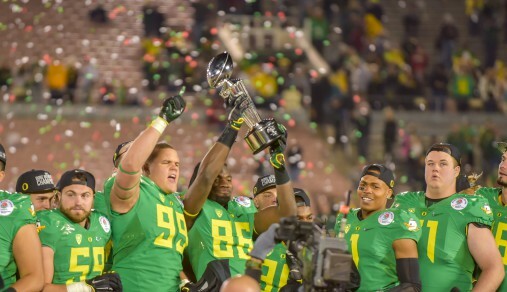 Win or lose, these Oregon Ducks have proudly honored their identity, their school, and their fans. Go Ducks!